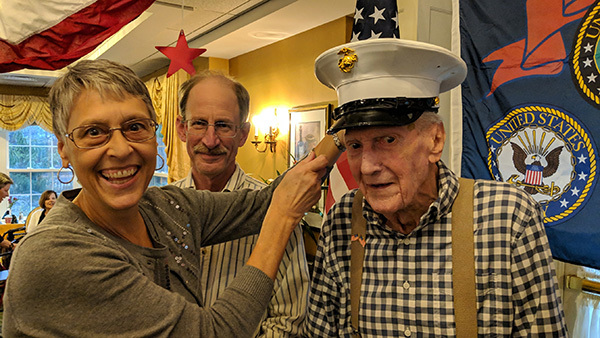 On Friday, November 9, 2018, Brandywine Living at Longwood honored their resident Veterans with a pinning ceremony thanking each resident for their service and dedication in serving our country. The ceremony included special readings by Paola Fusaro, Executive Director of Brandywine Living at Longwood. During the ceremony, she read poems that honor Veterans and announced each resident Veteran’s rank, service, and any honors they received. 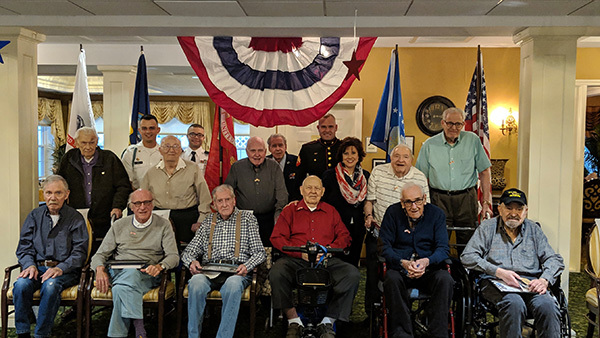 “There is no greater honor for me as the Executive Director than to acknowledge, thank and celebrate our resident Veterans. We admire and appreciate our Veterans for their sacrifices for this great country,” said Paola. 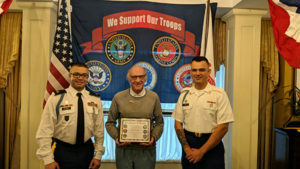 Residents had the honor of being pinned by Sergeant Ryan Gumby and Private First Class Carsen Frey of Company B, 111th Infantry. 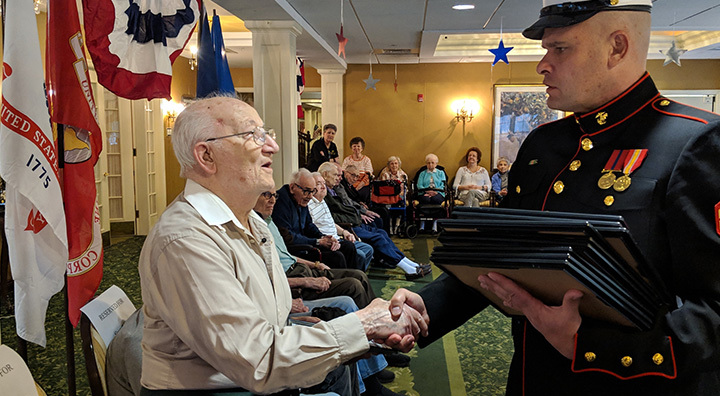 Tech Sergeant Gerald Breeden and Corporal Marine John DiMatteo also attended and handed each resident a certificate of appreciation. Brandywine Living at Longwood is proud that so many Veterans call their community home. A total of fourteen residents were honored during the ceremony. 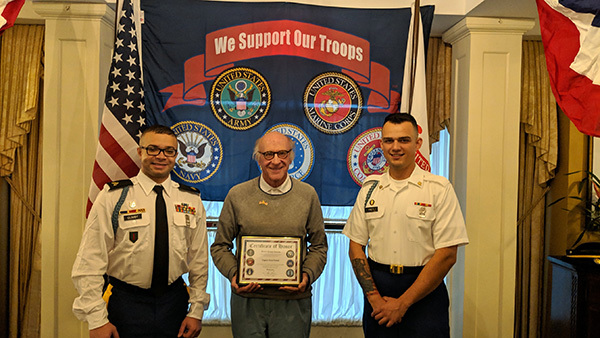 “Brandywine’s pinning ceremony with our family and friends present was the most rewarding for the Veterans, especially when the two soldiers who were pinning were active reserve. Thank you to Brandywine and the First Battalion of the 111th Infantry,” said Brandywine Living resident and Veteran of the United States Navy, Colonel Edward Huber.